Would you like to enhance your facial appearance by erasing wrinkles, frown lines and crow’s feet that make you look older than you are? Or perhaps you’ve been putting up with temporomandibular joint pain and would like relief. The good news is that Dr Anisha Sanghavi (Dentist) has done her certification in dermal fillers and wrinkle relaxers, so that she can provide patients with facial enhancement and pain relief! Those suffering from pain in the jaw joint and in the muscles that control jaw movement can experience relief with wrinkle relaxers. When Botulinum Toxin A is injected into facial muscles that are sore or uncomfortable, the wrinkle relaxer alleviates TMJ and jaw tension for many patients. Additionally, the injections often eliminate headaches that result from teeth grinding. 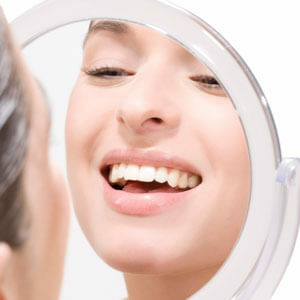 With a gummy smile a large section of a person’s gums is visible when they smile. There are many causes of a gummy smile, but one of the most typical is over-active muscles controlling the upper lip which draws the lips up exposing sizeable areas of gums. By using wrinkle relaxers, Dr Anisha can reduce the height of the upper lip, decreasing the amount of gums revealed when you smile. Do you wish you could have fuller, plumper lips? Dr Anisha also offers dermal fillers that can be used for lip enhancement especially after cosmetic dentistry procedures like veneers or crowns and orthodontics.